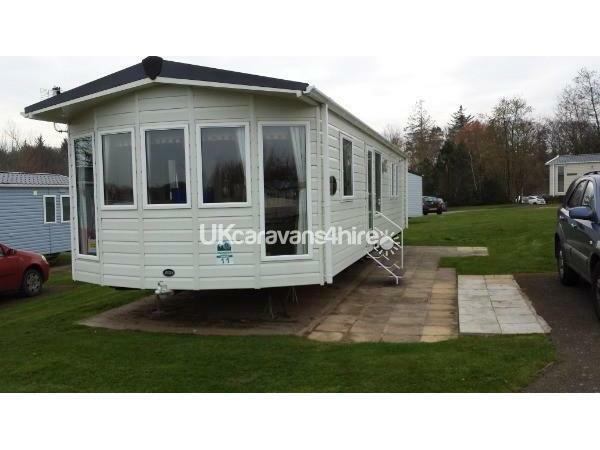 The caravan is situated on the golf course area of Haggerston Castle. 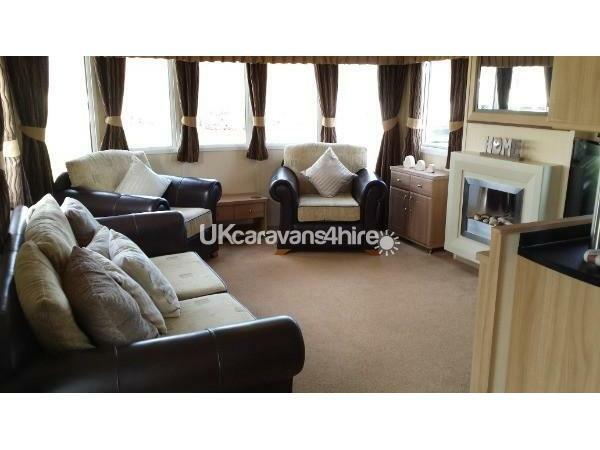 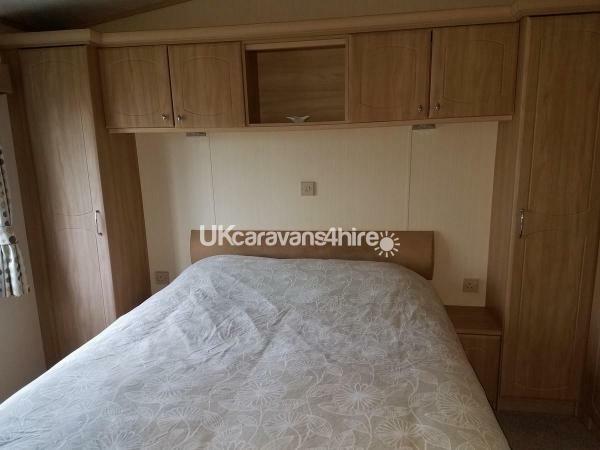 It is a luxury large, comfortable and spacious caravan. 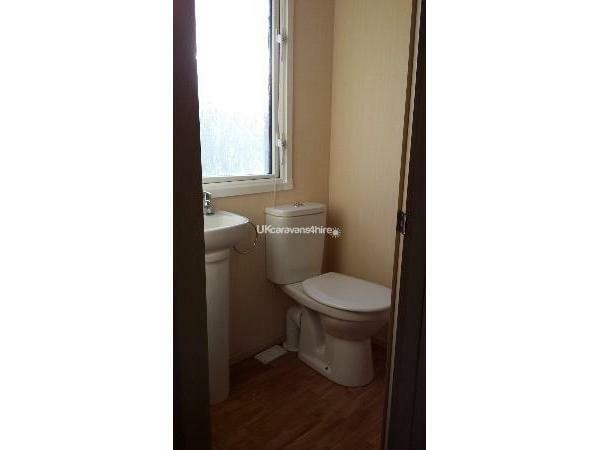 There is 2 bedrooms one has en-suite. 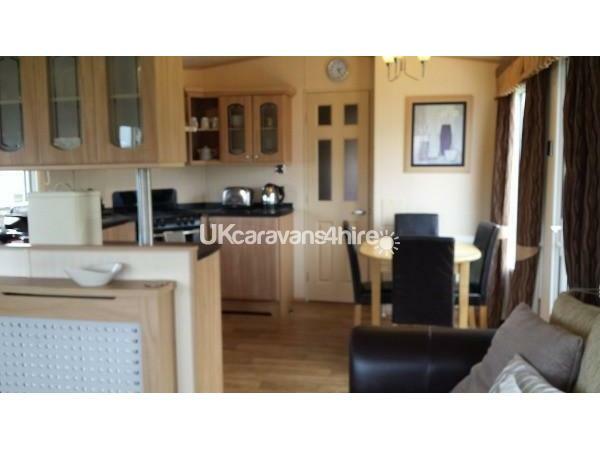 caravan sleeps 4. 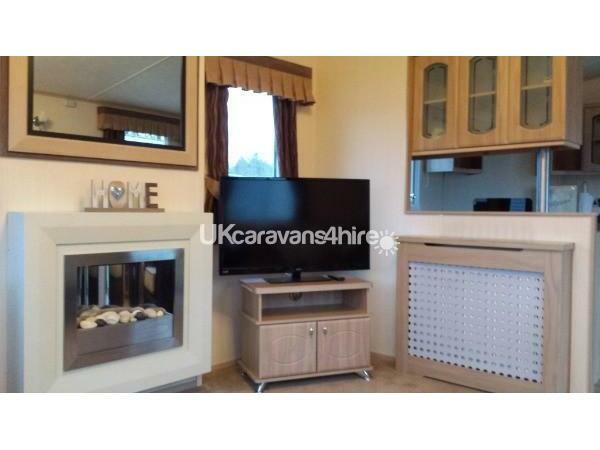 The living area has a 3 piece suite, electric fire, T.V with DVD player. 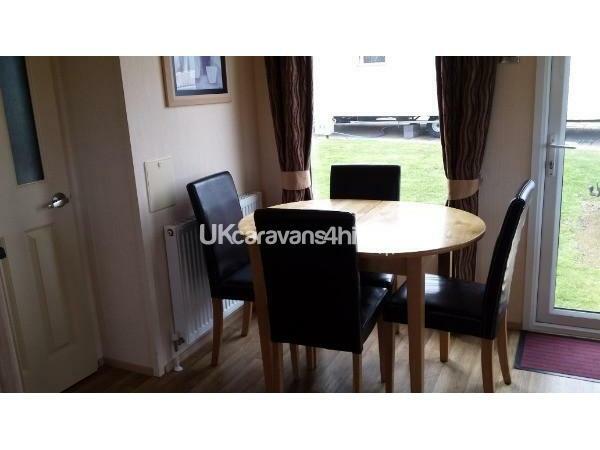 There is a separate dining area with table and chairs. 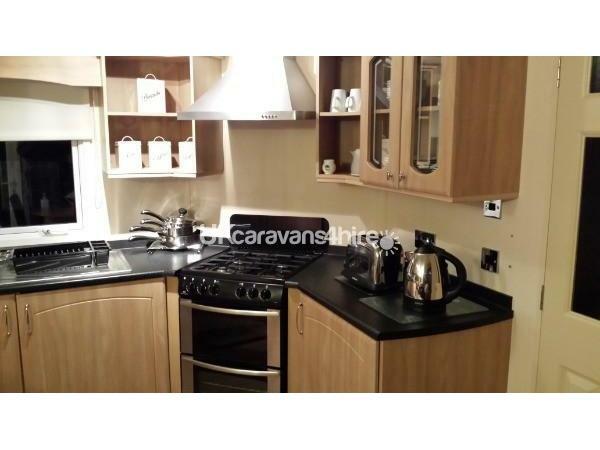 The kitchen has full size cooker and oven, fridge and freezer, microwave, wine rack and plenty of bench space. 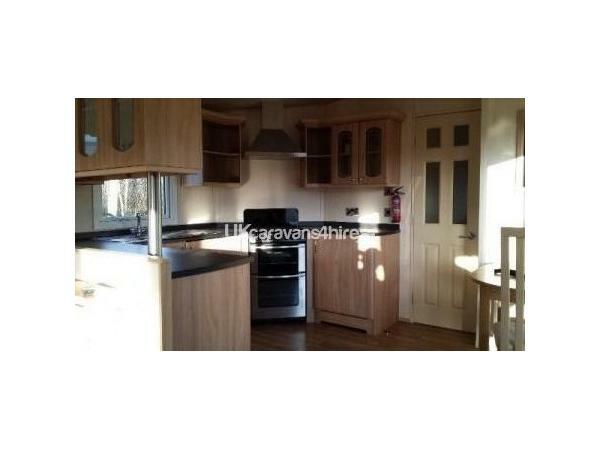 There is an outside patio area with parking to the side of the caravan. 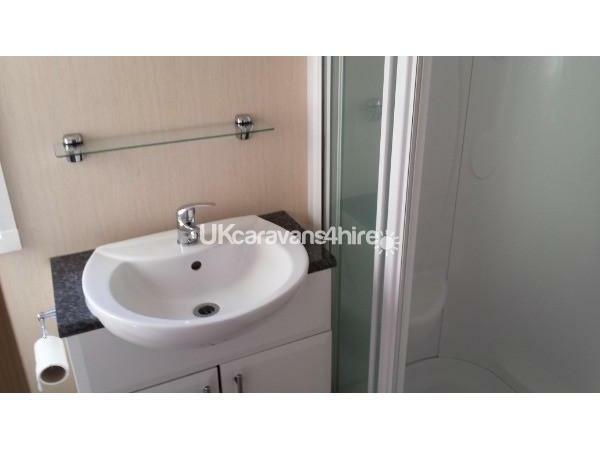 The caravan is in immaculate condition. 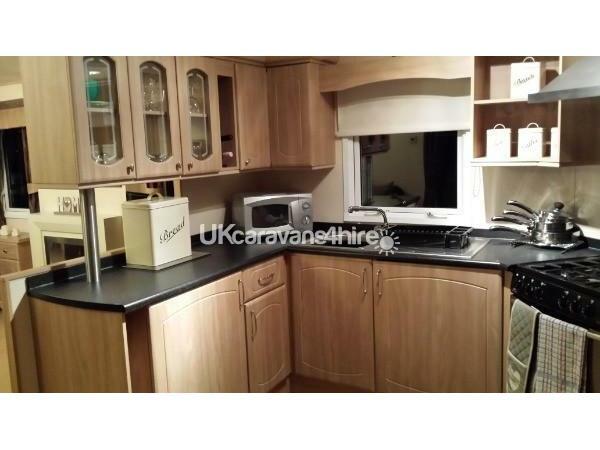 All crockery and utensils are included. 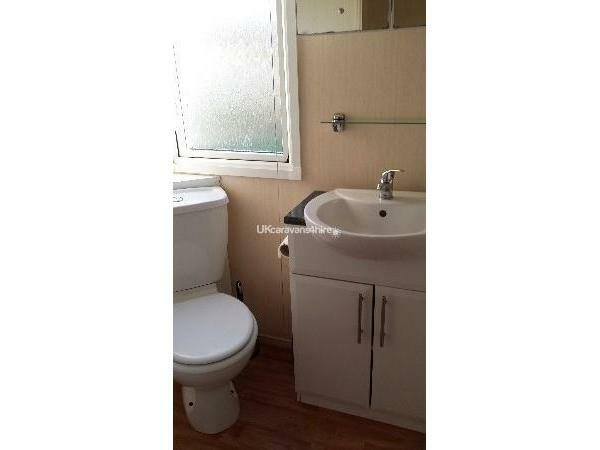 All bed linen is included, just bring your towels.